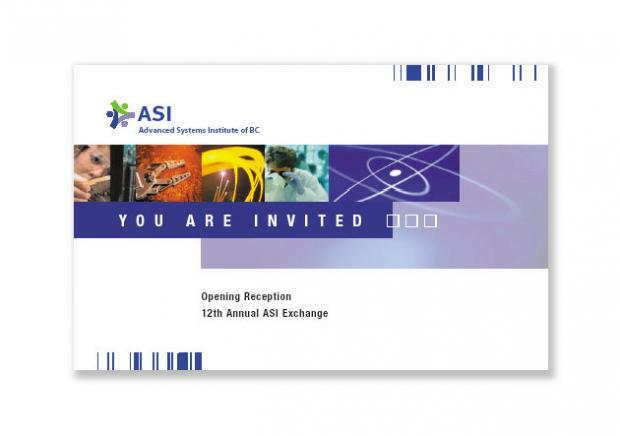 The ASI Exchange, sponsored by the Advanced Systems Institute, is the premier event for British Columbia's advanced technology community, attracting over 3,000 attendees annually. In the past, the event had received no media coverage. 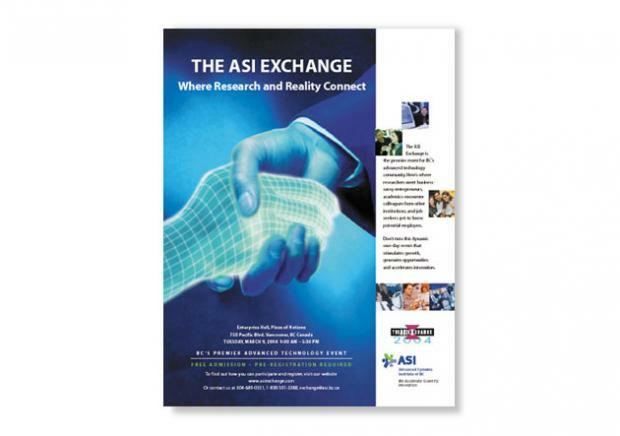 ASI was ready to raise its profile and also wanted to attract attendees from the entire Pacific Northwest and Central Canada, not just the Vancouver lower mainland. 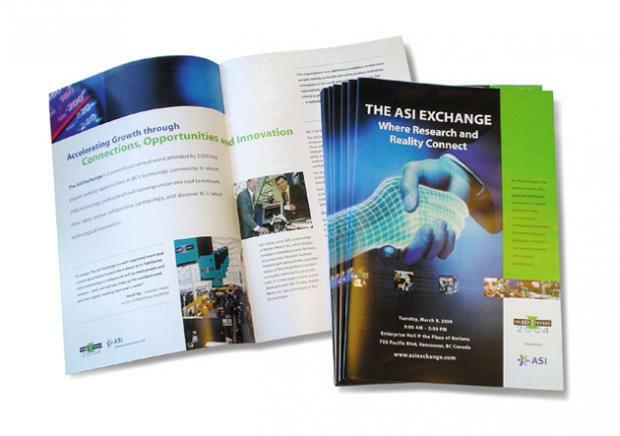 NextPhase designed a new tech look for the ASI Exchange ad campaign and marketing material, augmented by a full media relations program. We worked closely with the media to coordinate interviews and pre-select subjects. 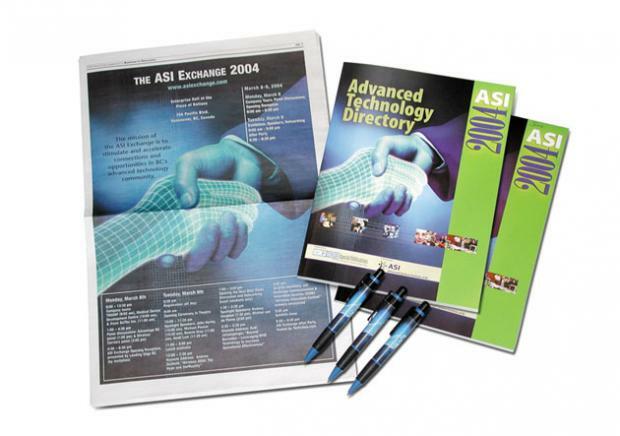 This was supported by news releases on interesting aspects of the show as well as the year's featured technology. An awards program was introduced to highlight top technologies with the winners being announced at the event. Regular news items and feature coverage resulted in online, local and national media including The Vancouver Sun, The Province, the Okanagan Business Journal, Silicon Valley North, News4 and Shaw TV's The Express. “We went from zero to 100 in terms of media coverage and the coverage included all of the key messages that we wanted to communicate. I highly recommend NextPhase to any organization that wishes to raise its profile among their target audiences. 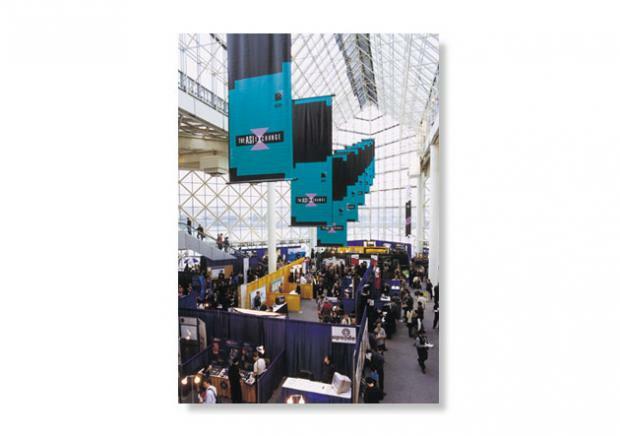 They’re talented, organized and deliver to plan.” stated Wendy Fister, Manager, Marketing and Communications.